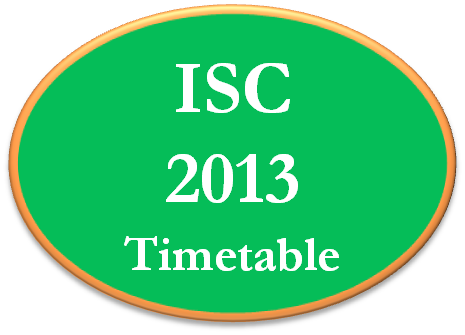 Exam Timetable for Students pursuing ISC 12th Board Examinations 2013. 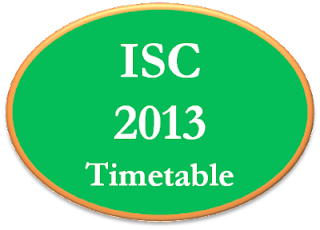 Home Science Paper 2 (Practical) – Planning Session 1 hr. All data and information provided on this blog site is for informational purposes only. http://www.careernurturer.com and http://farzadminoodamania.blogspot.com makes no representations as to accuracy, completeness, currentness, suitability, or validity of any information on this site and will not be liable for any errors, omissions, or delays in this information or any losses, injuries, or damages arising from its display or use.